Good afternoon everyone! I hope you are all having a great day! I am back today with another round of Two for Tuesday. 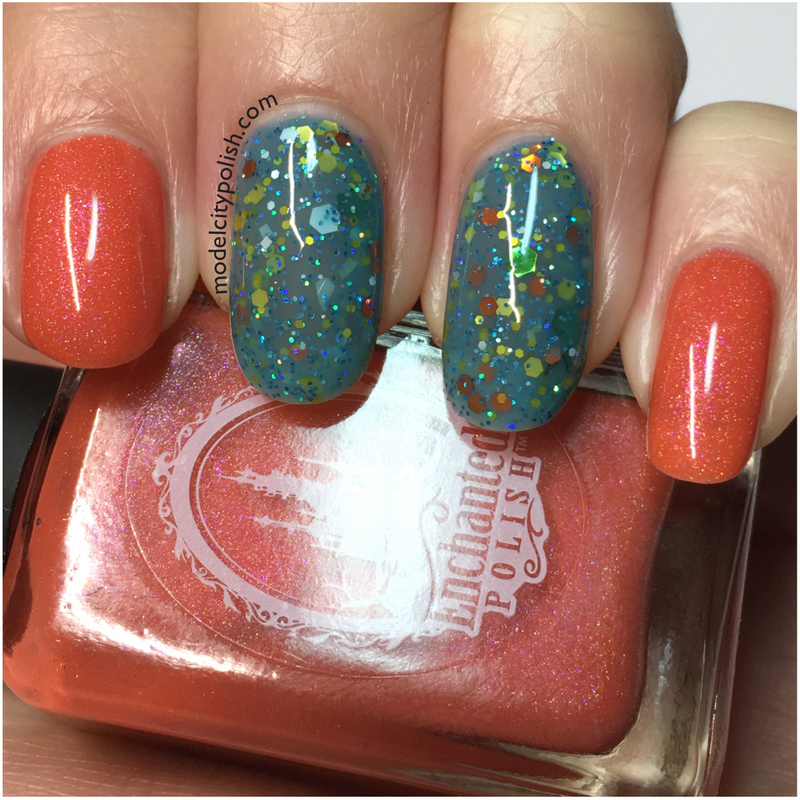 This is the day where I share two lovely lacquers from my collection that pair perfectly together. This is a great way to rediscover oldies and use more of the ever growing collection. 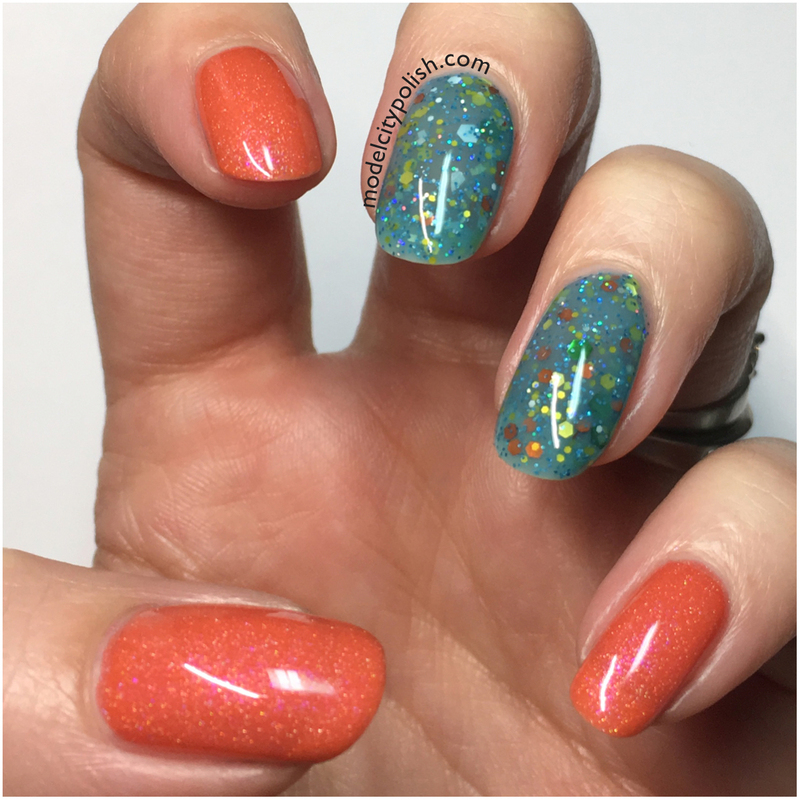 Today we have a jelly and holo! 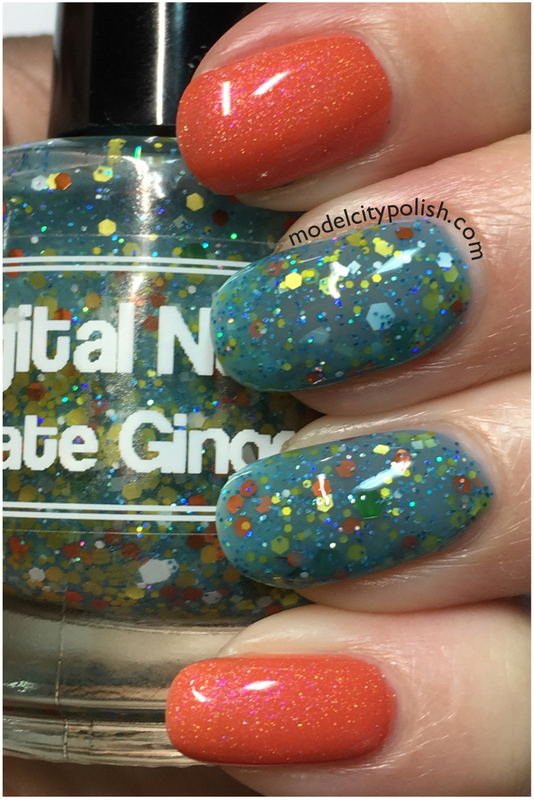 Digital Nails Ultimate Ginger was one of my first DN’s and is still one of my favorites too. 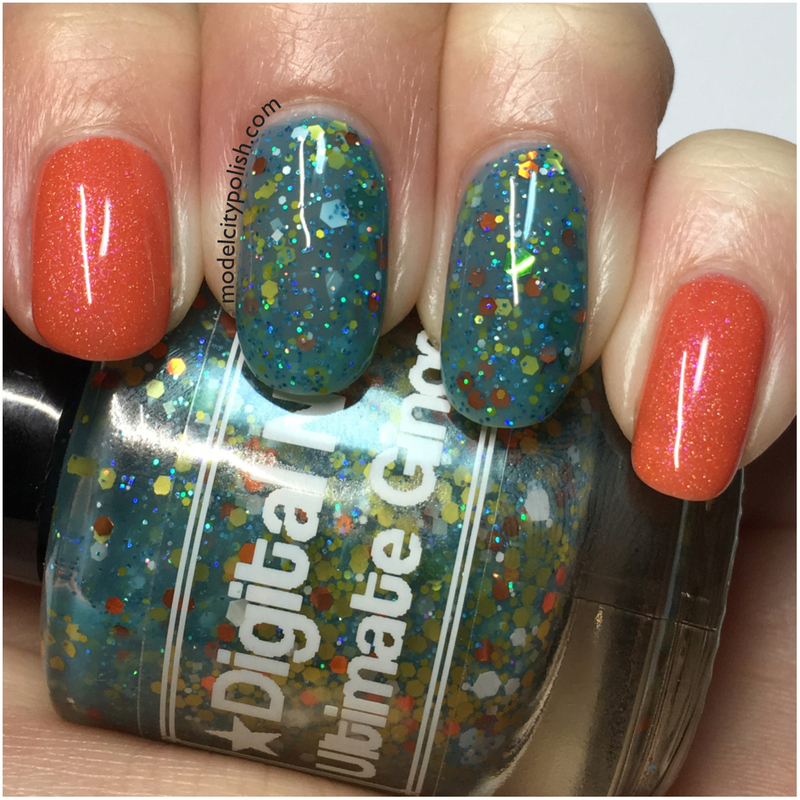 Ultimate Ginger is a lovely teal green jelly filled with orange, yellow, white, and iridescent glitter in various sizes. Application after all this time was still perfect and I only needed two coats for full coverage. 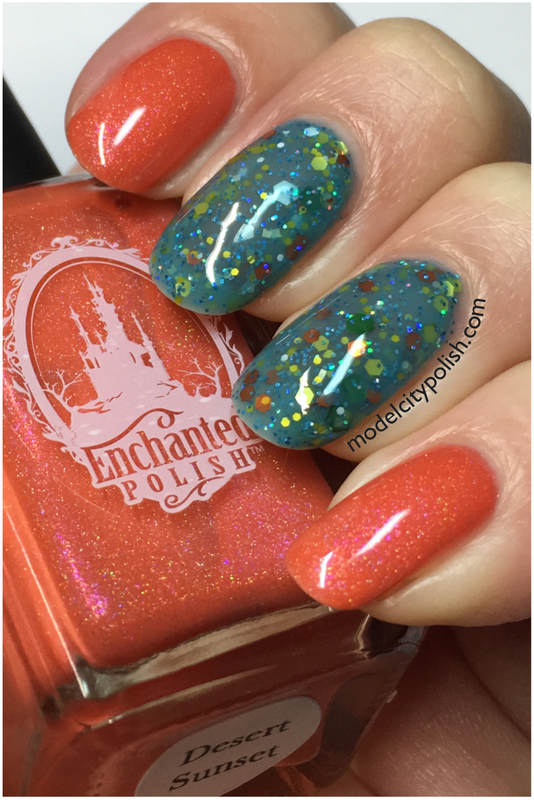 I paired this jelly beauty with Enchanted Polish Desert Sunset. Oranges tend to be picky with my skin tone and the teal green jelly helped break things up. In my photos I am wearing two coats of Desert Sun. 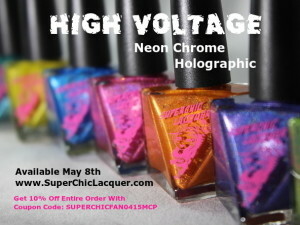 Everything was sealed with a coat of SuperChic Lacquer Liquid Macro Top Coat. So what do you guys think of today’s pairing? I love both of these and combining two of my favorite finishes really took things to a new level. Thank you so much for stopping by today and I will see you all again real soon. 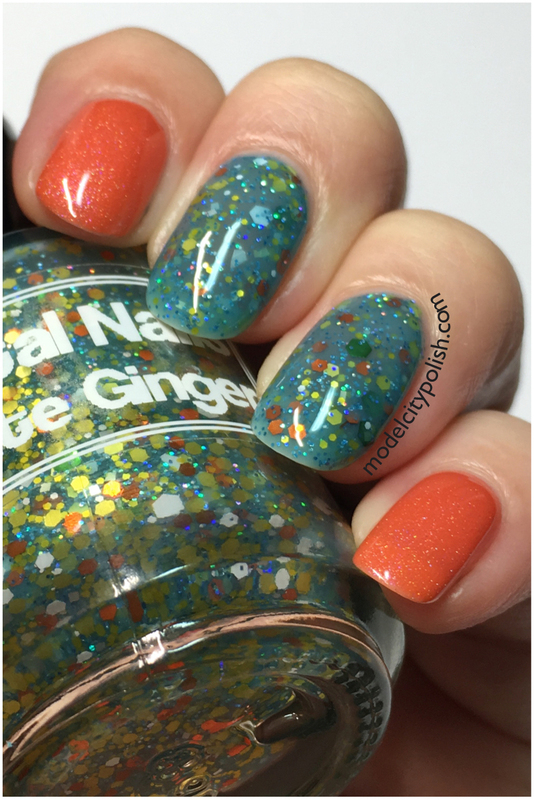 I love the contrast of the orange with the orange glitter in the Ultimate Ginger! Great combination! Ooh! I need to break out Ultimate Ginger now. And yay for themed Tuesdays! That sparkle! 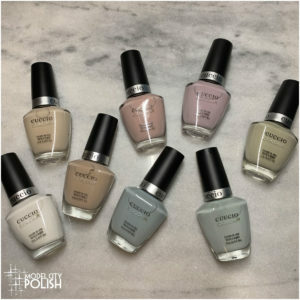 I really need to give glitter nail polishes a try — I’m always hesitant because they seem a PAIN to remove….but you always make them look SO beautiful! 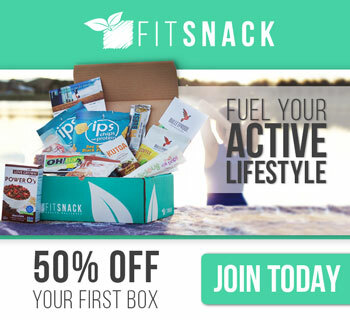 Oooh such an interesting combo, but it really works! Love this color from digital nails, super pretty! It was the one to really open my love for the brand!!!! 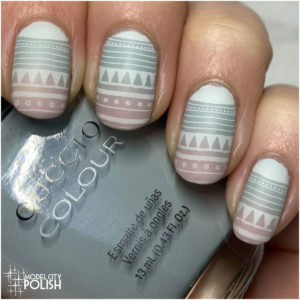 Gorgeous combo! I’m almost mad I didn’t think of this first, haha! I’ve actually got Ultimate Ginger, this makes me want to dig it out. Ultimate Ginger is just too beautiful! Prettiest green glitter I’ve ever seen. I have been working on an ultimate orange post! 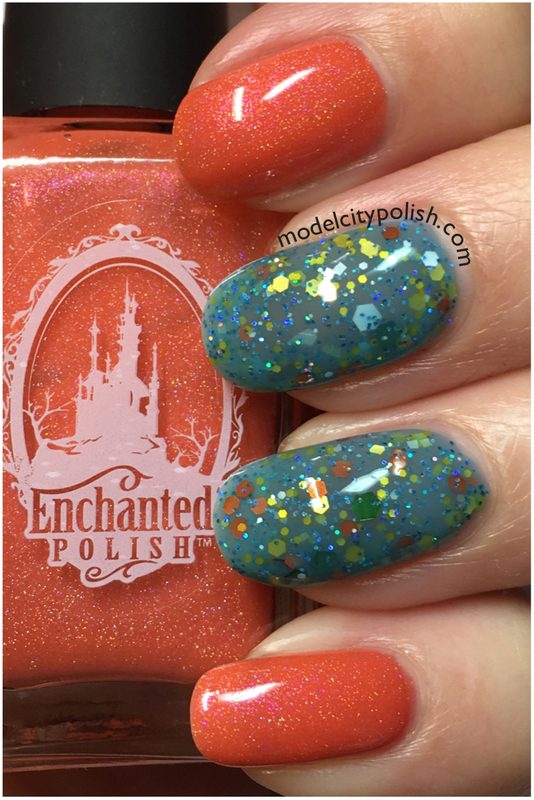 I am so in love with any orange polish. This is beautiful.